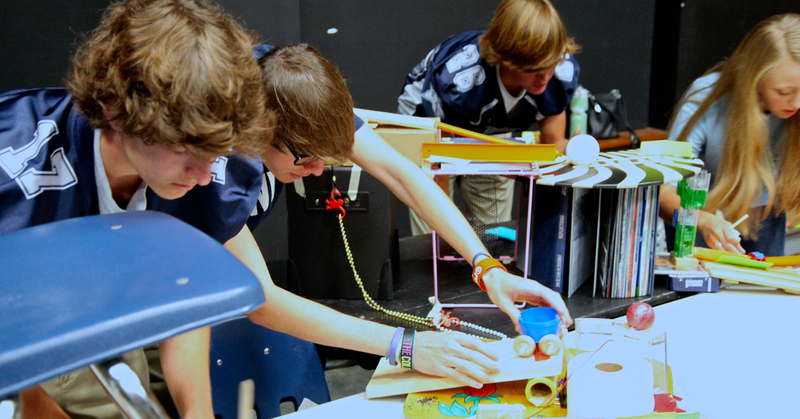 Conceptual physics students spent a week in the Black Box Theater creating Rube Goldberg machines that perform a simple task through an elaborate set of chain reactions. Each simple machine performed a task that results in a long string of actions that lead to an ultimate result. These groups chose ringing a bell and popping a balloon as their desired outcome. Watch the videos created by the students at http://youtu.be/MJ559zku7oM.